Help raise money for Cypress' PTO! 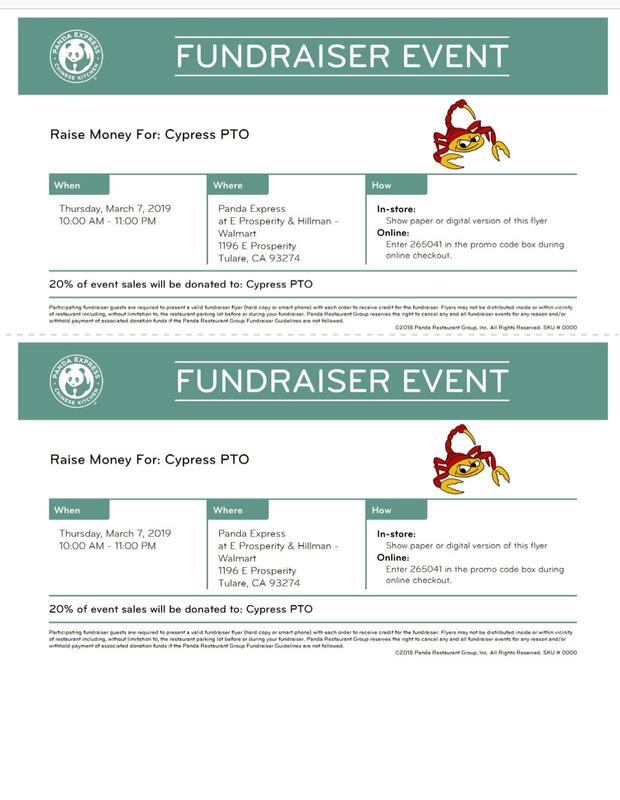 Thursday, March 7th come have dinner or takeout at Panda Express and 20% of the proceeds will go back to Cypress School! Just mention Cypress School when you are paying for your meal. Please see attachment for details. Cypress Elementary will be promoting 25 days of kindness starting January 24th-March 1st, 2019. All grades will be participating and will be involved in daily lessons and kindness activities each day. 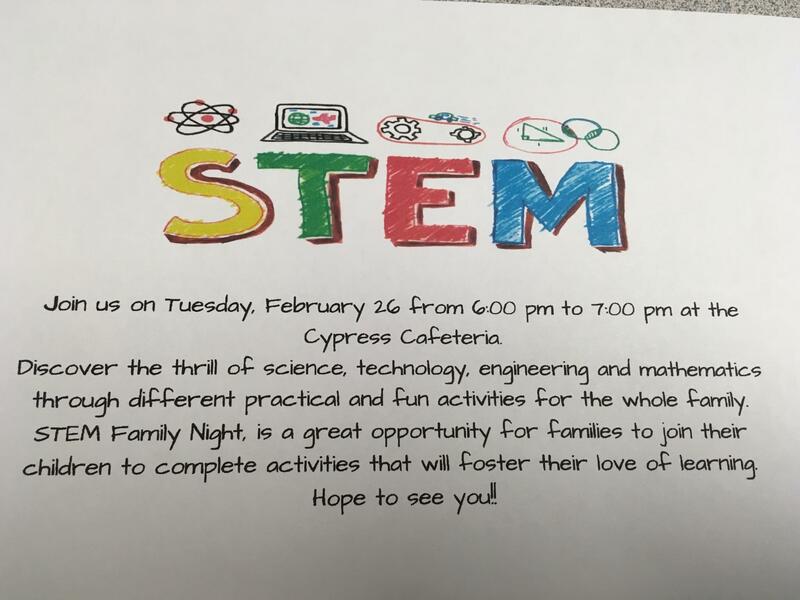 Join us on Tuesday, February 26th from 6:00-7:00 pm in the Cypress Cafeteria! Discover the trill of Science, Technology, Engineering, and Mathematics through different practical and fun activities for the whole family to enjoy! Cypress will be participating in our District-Wide kindness week on January 22-25, 2019! Please click the link to view our dress-up days for each day to show your Scorpion Pride.